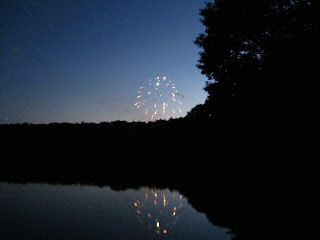 The only fourth of July fireworks we saw were from the dock at Nick and Julie's. It was so beautiful and simple. A little bit of July 5th early morning. It seems as though someone (JulieS?) threw a glass into the bushes.